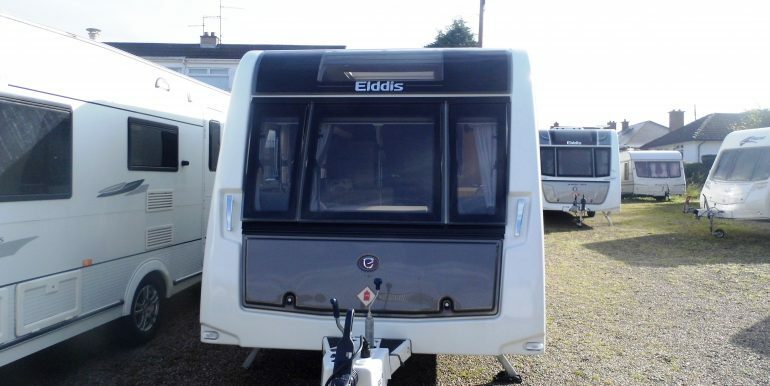 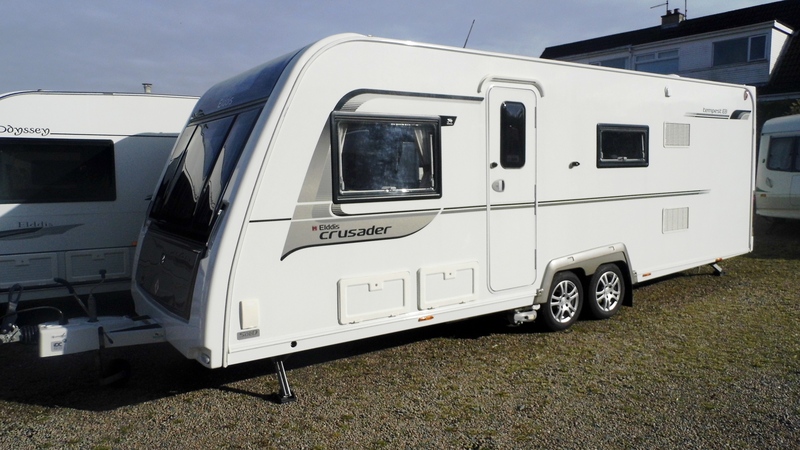 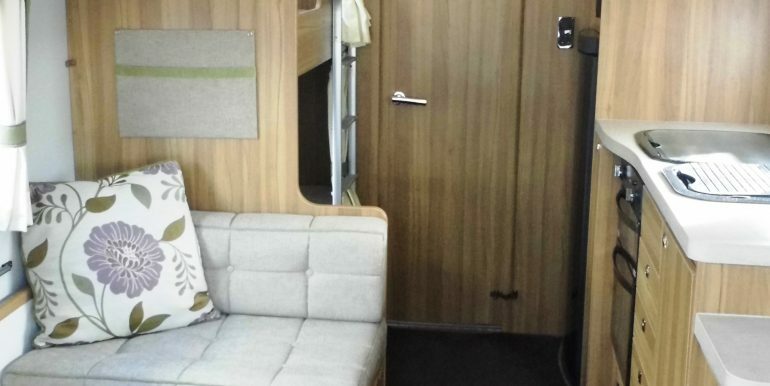 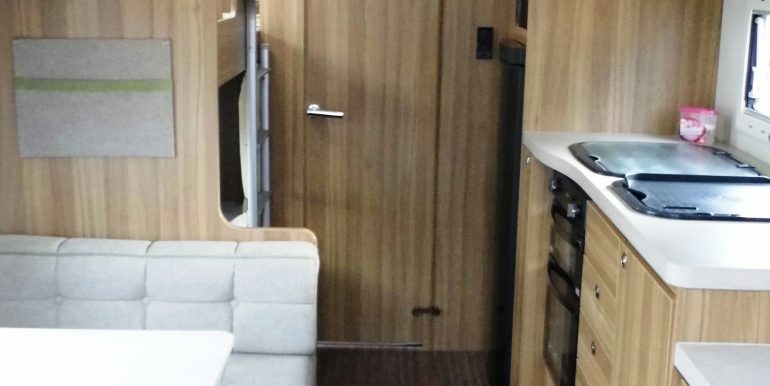 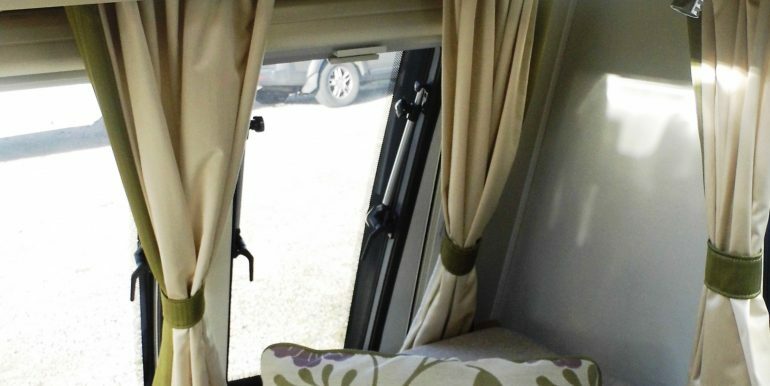 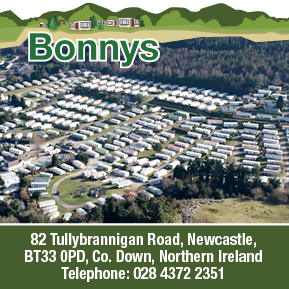 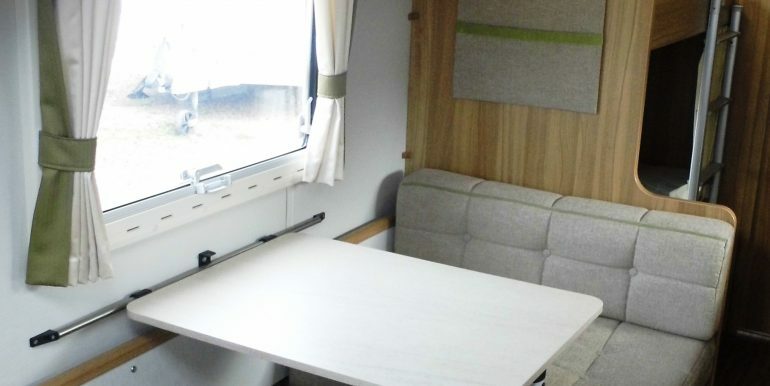 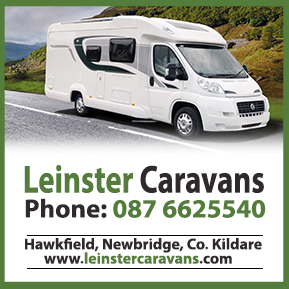 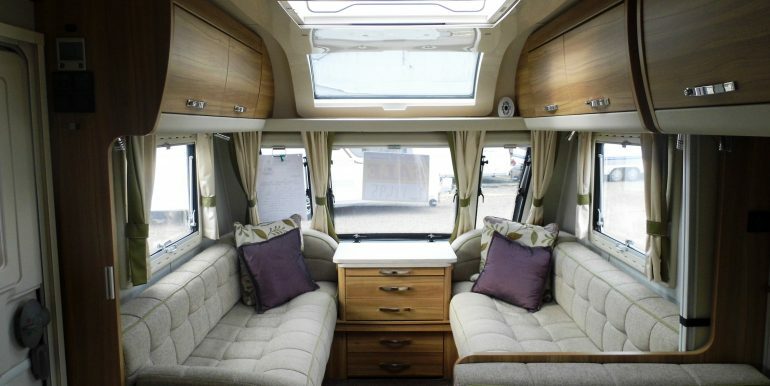 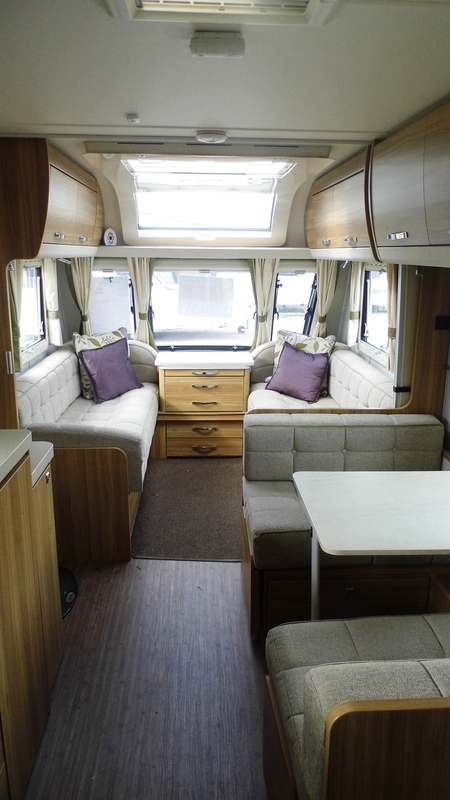 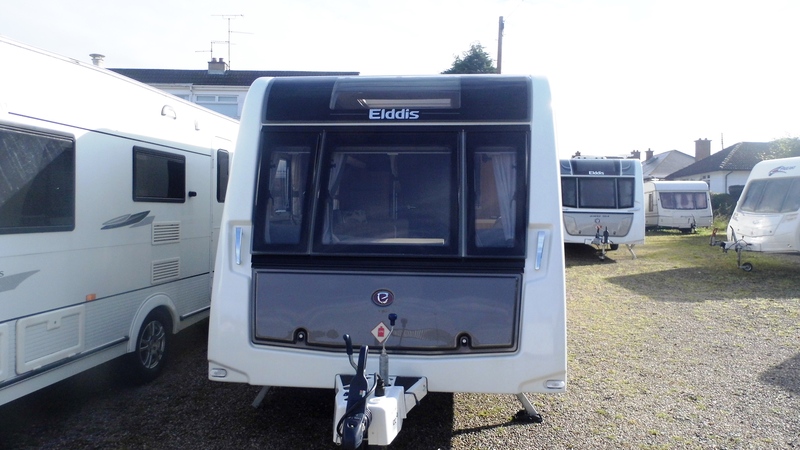 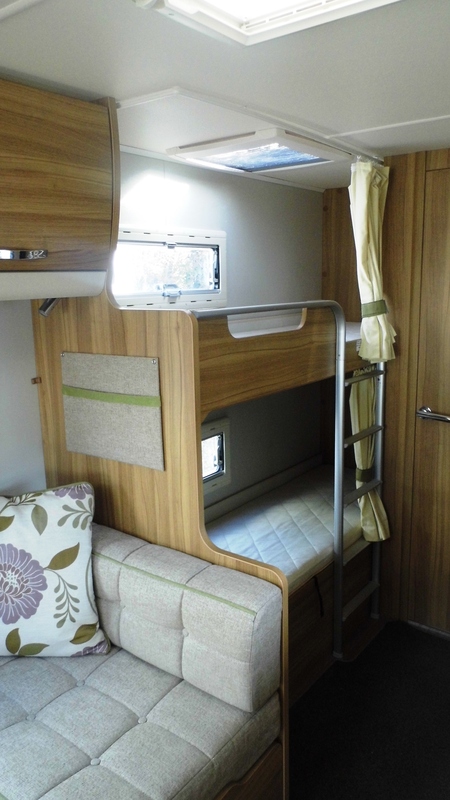 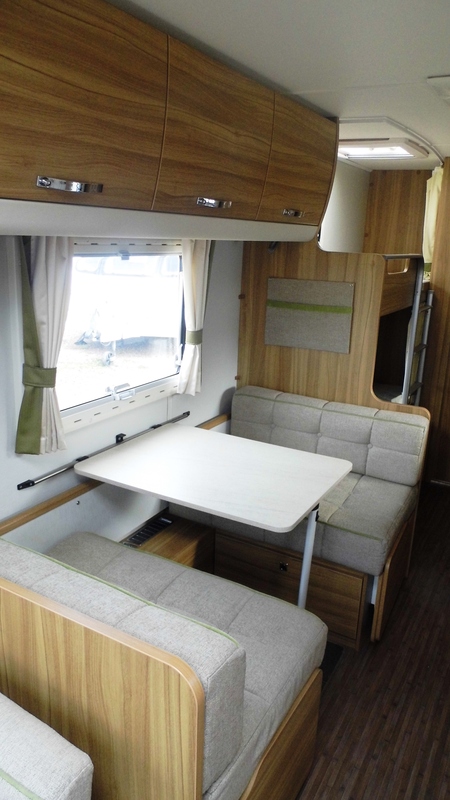 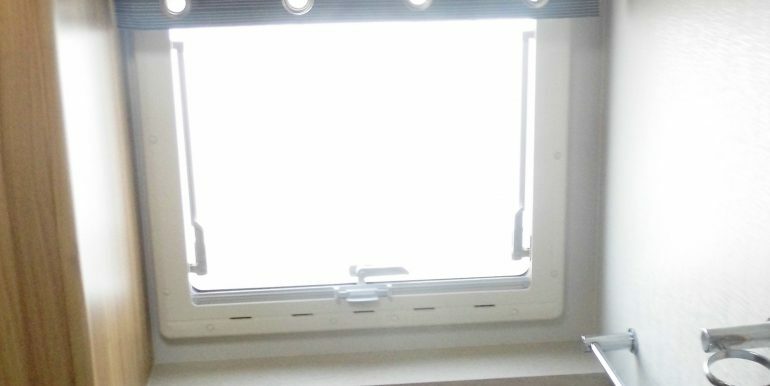 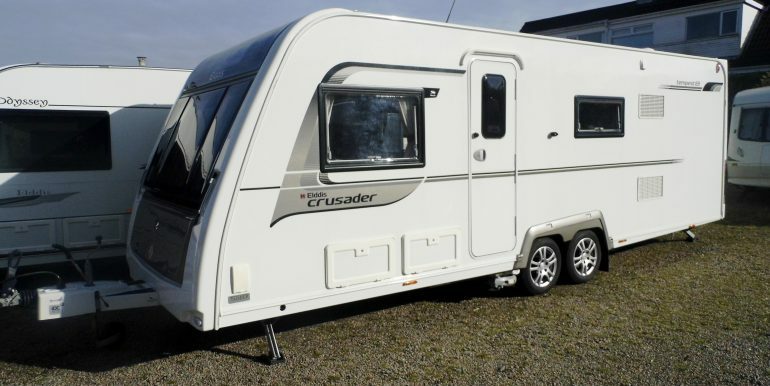 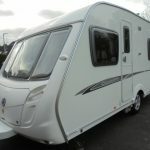 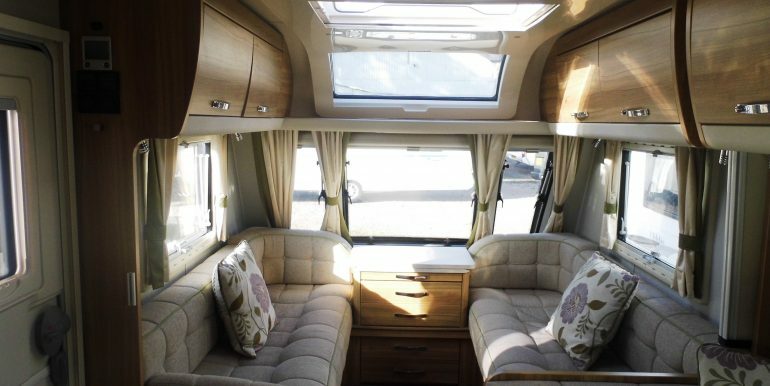 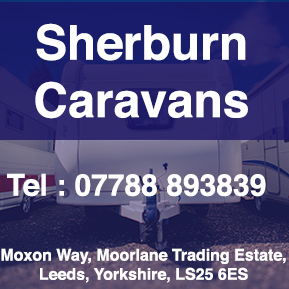 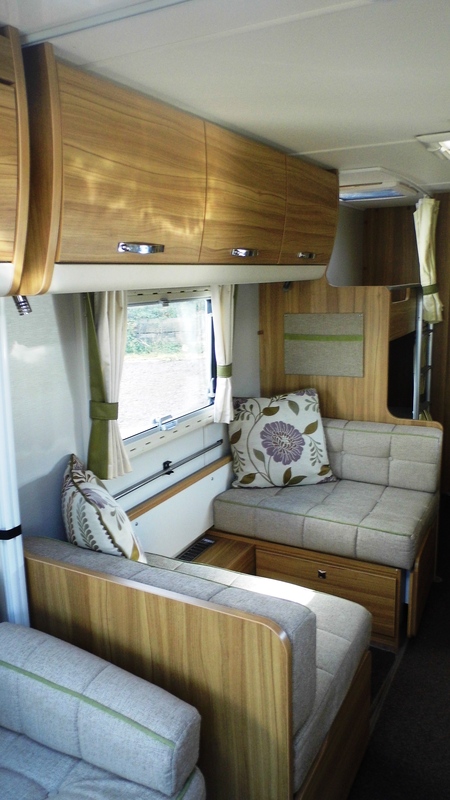 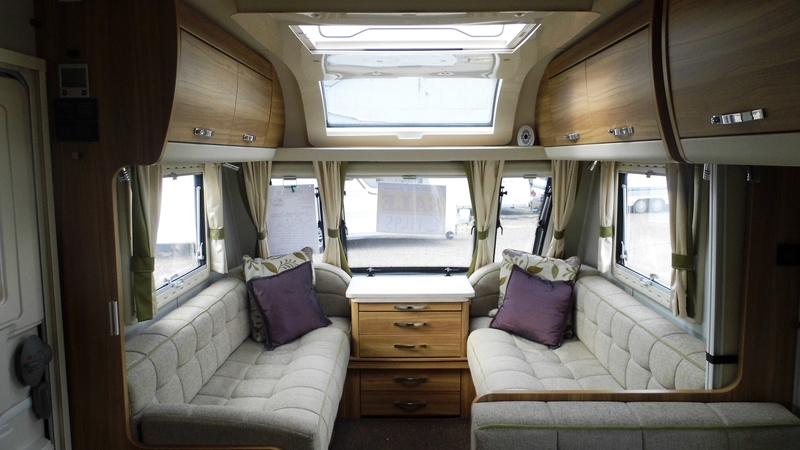 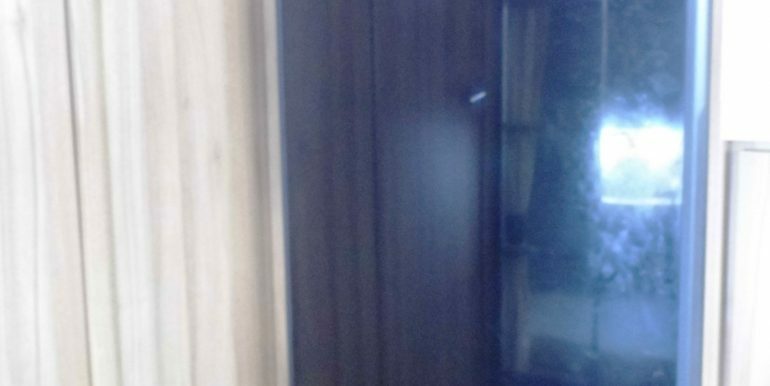 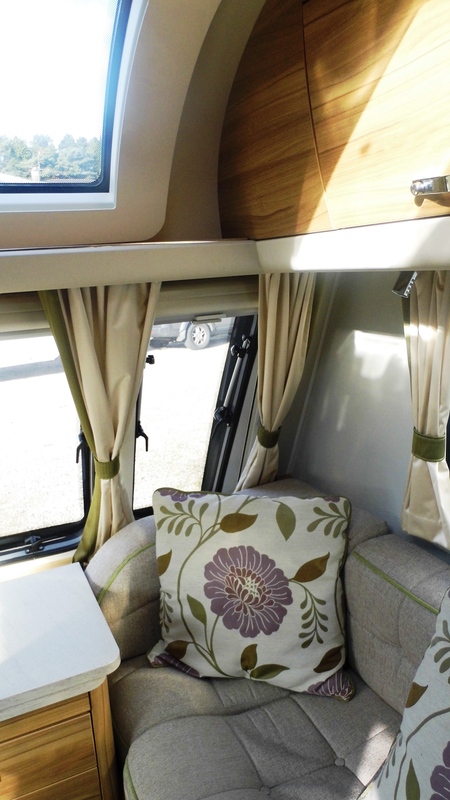 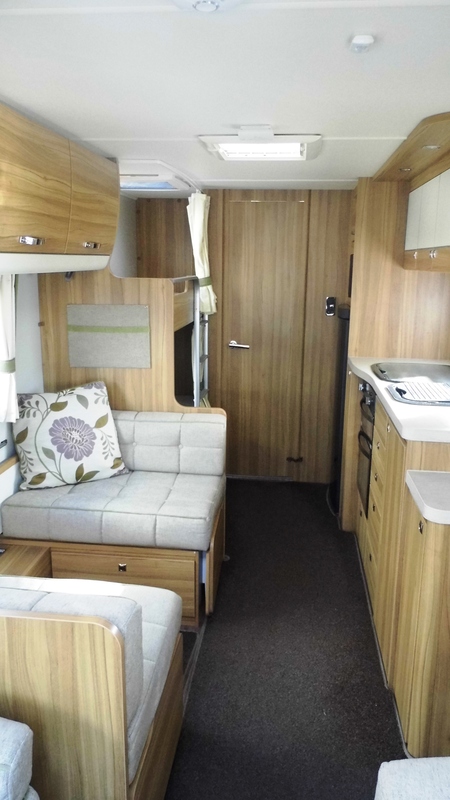 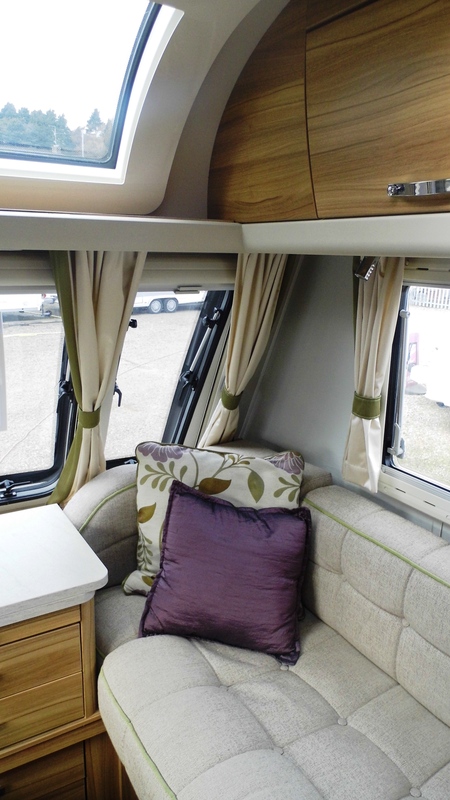 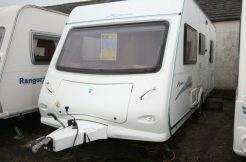 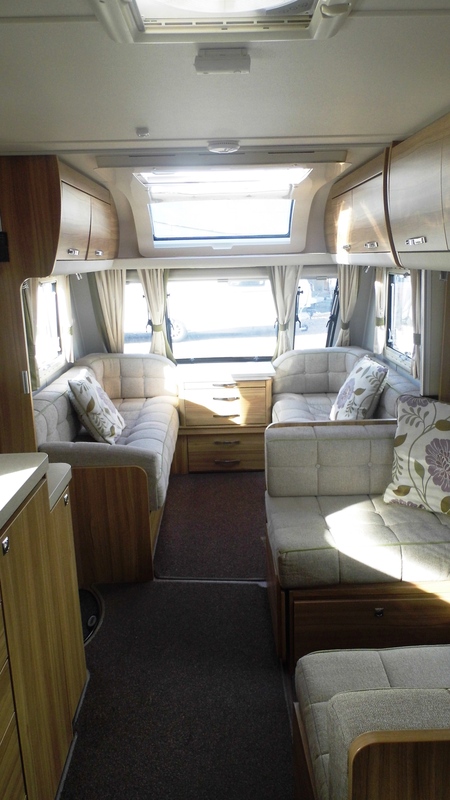 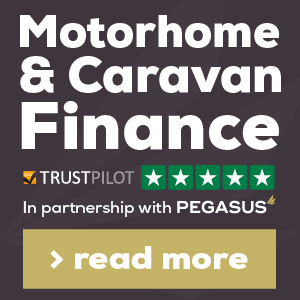 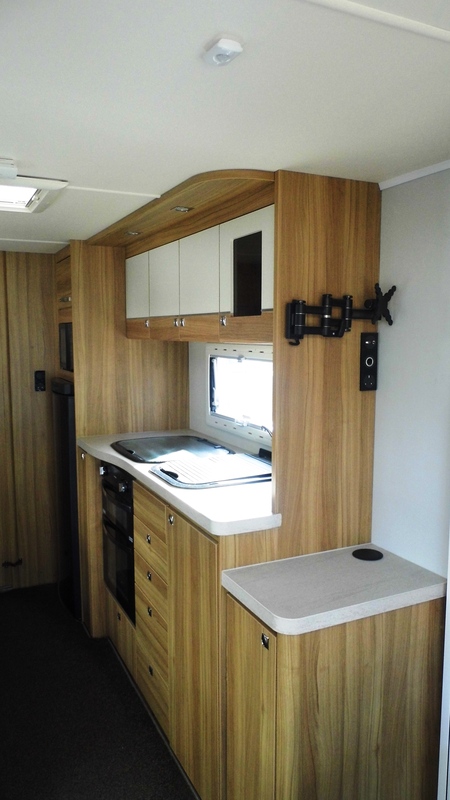 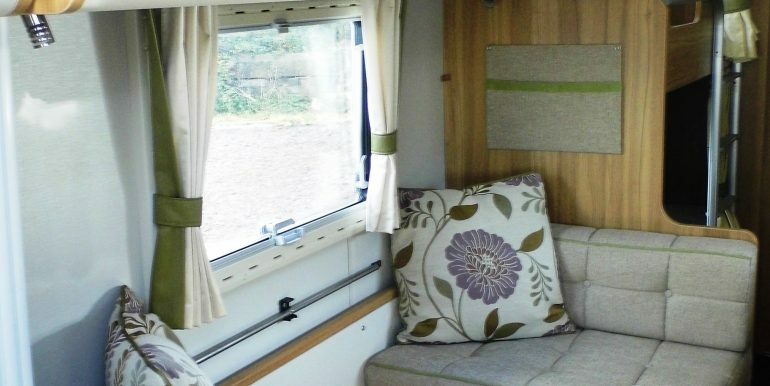 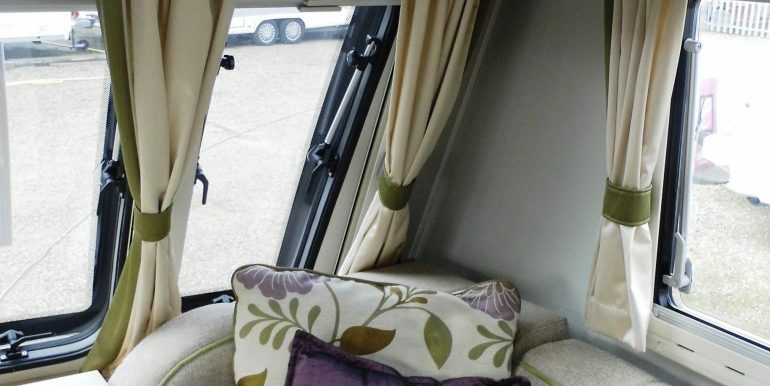 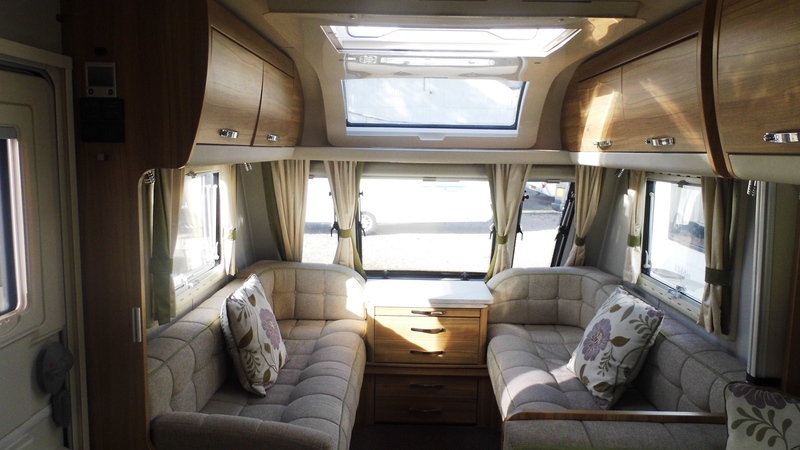 Excellent condition top of the range 6 berth family caravan on twin axle. 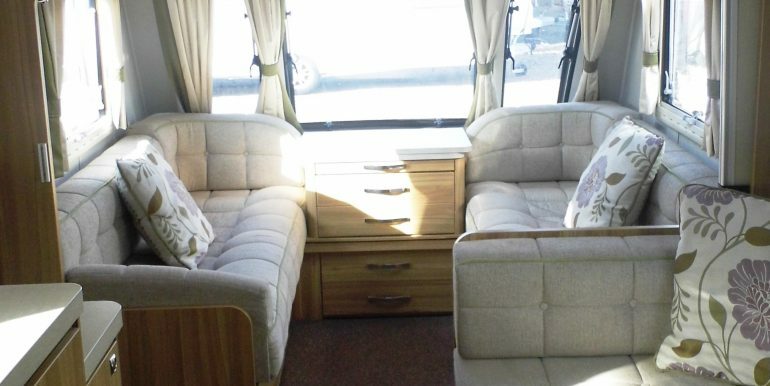 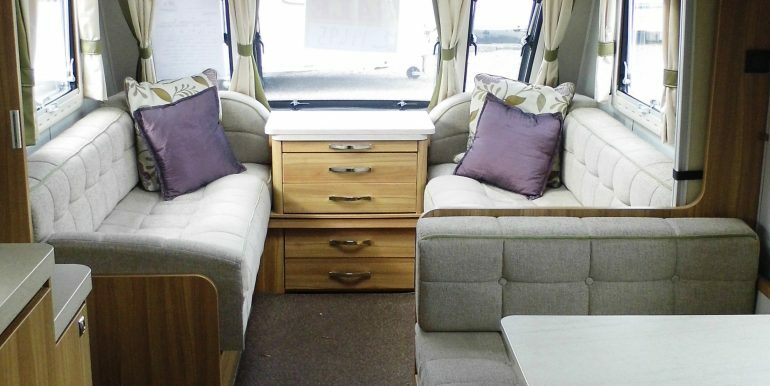 Two parallel seats to the front convert to a double bed. 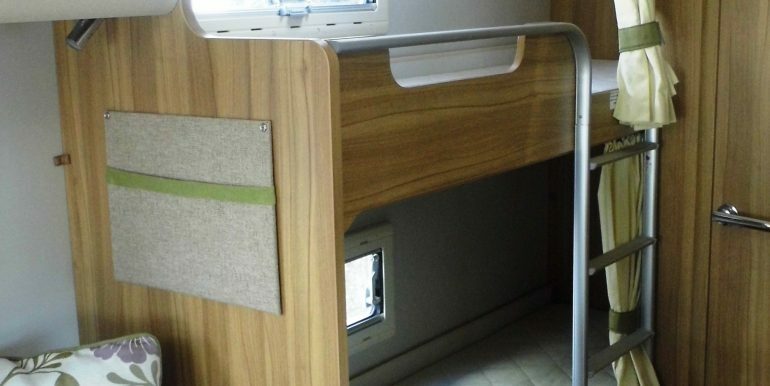 Side dinnette converts to a oudble bed and allows 4 people to sit comfortably. 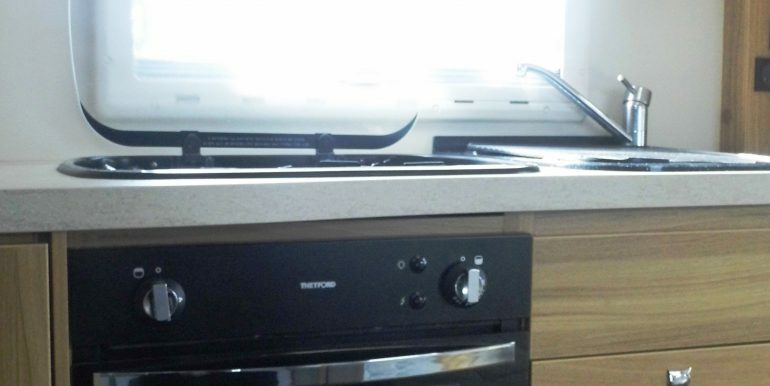 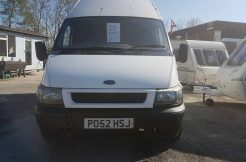 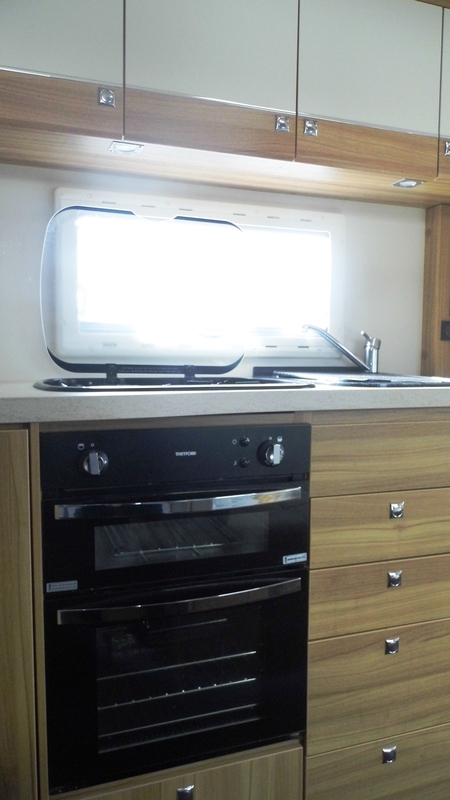 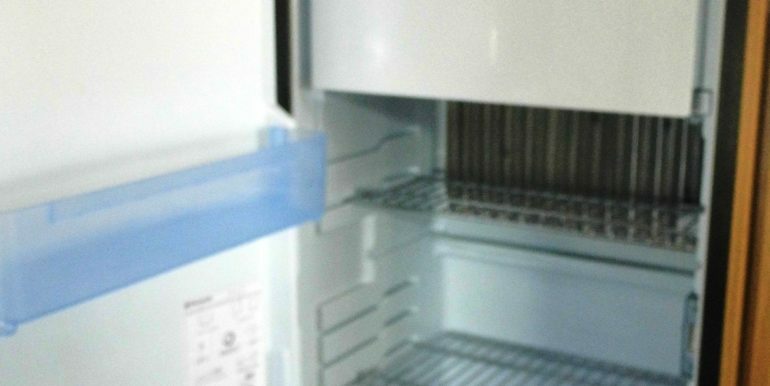 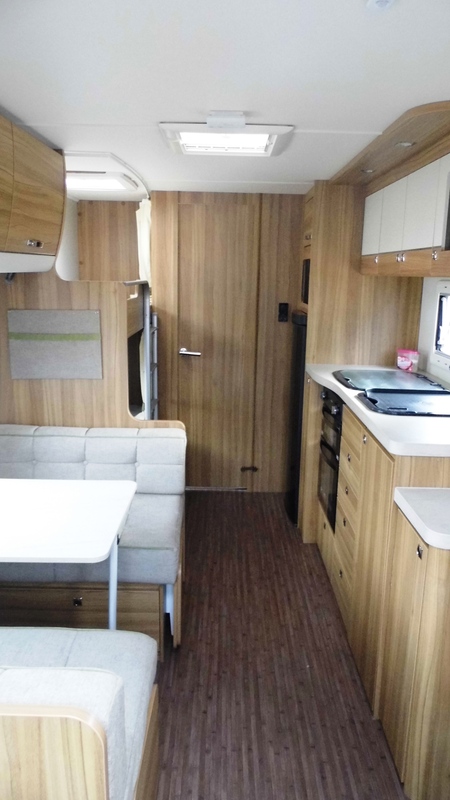 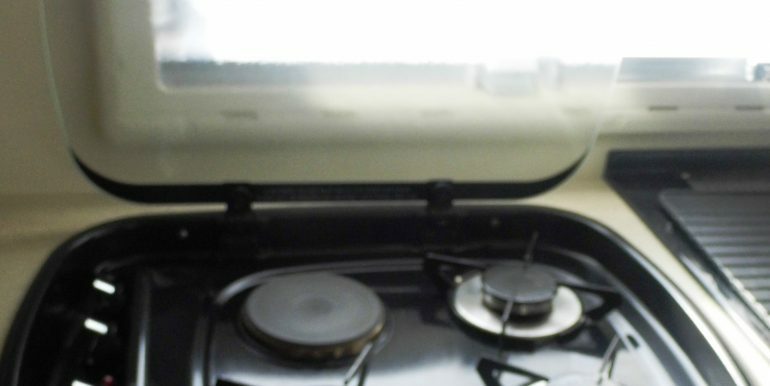 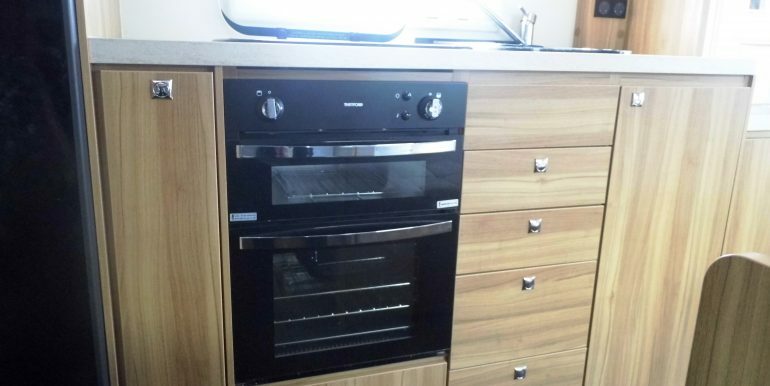 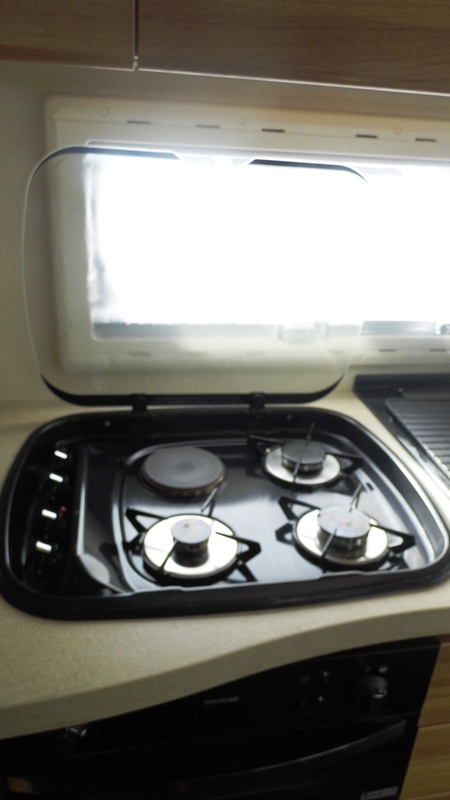 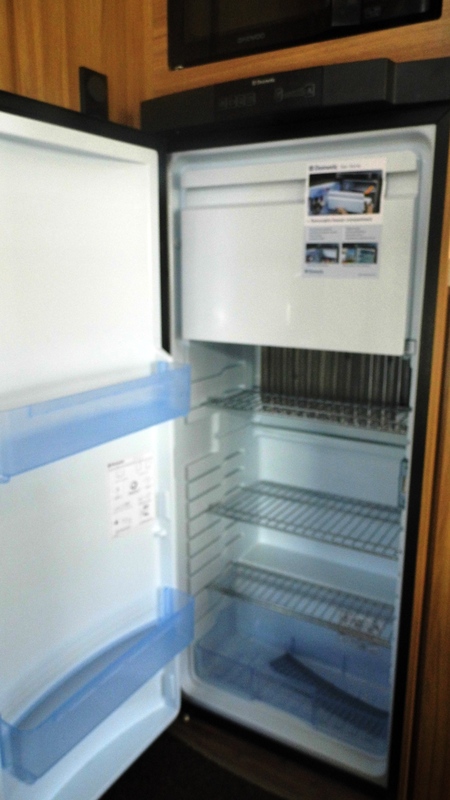 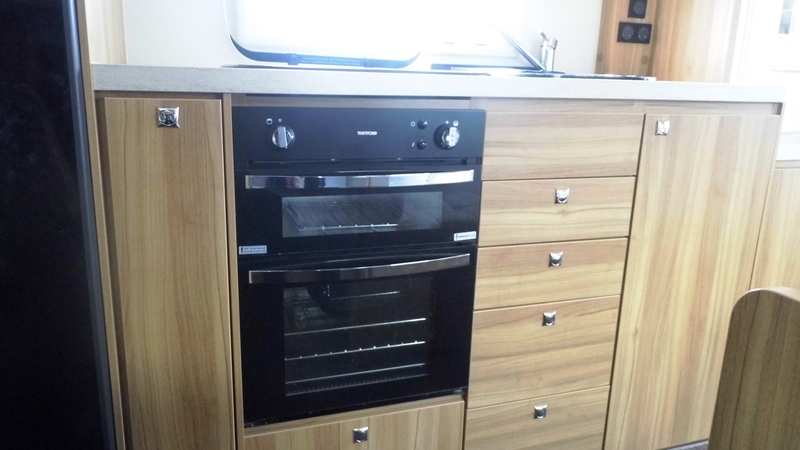 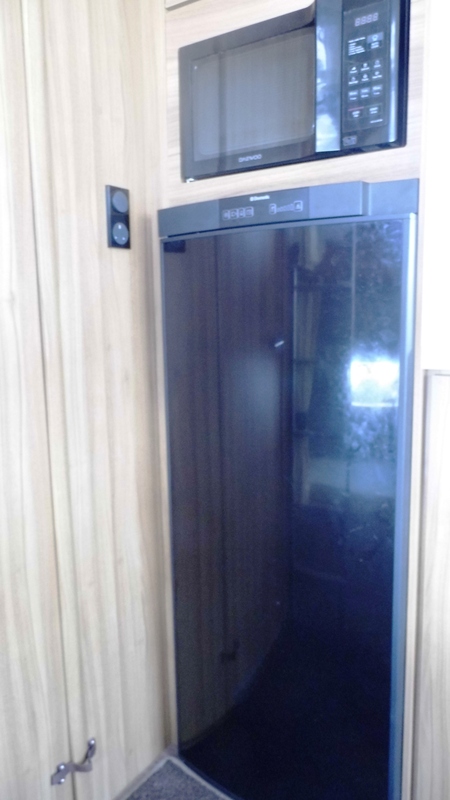 Centre kitchen with dual fuel hob,(1 electric ring, 3 gas rings), gas grill and oven, microwave, large 3-way fridge freezer and ample worktop and storage space. 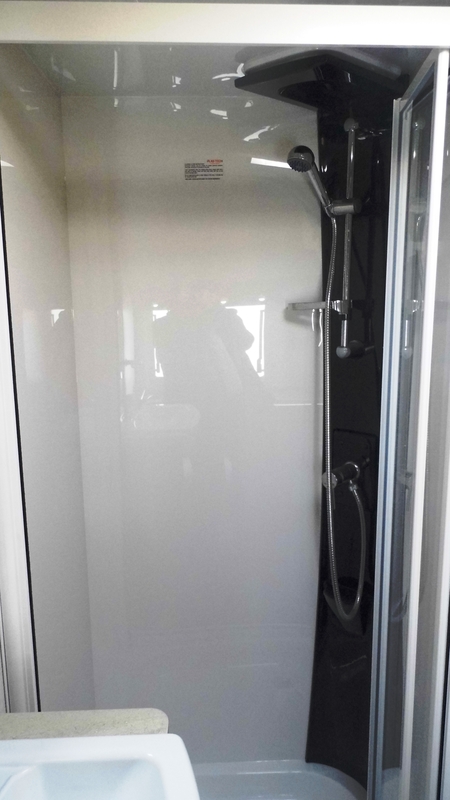 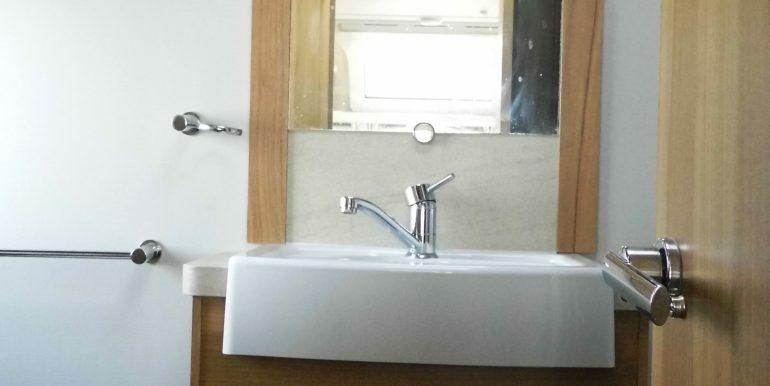 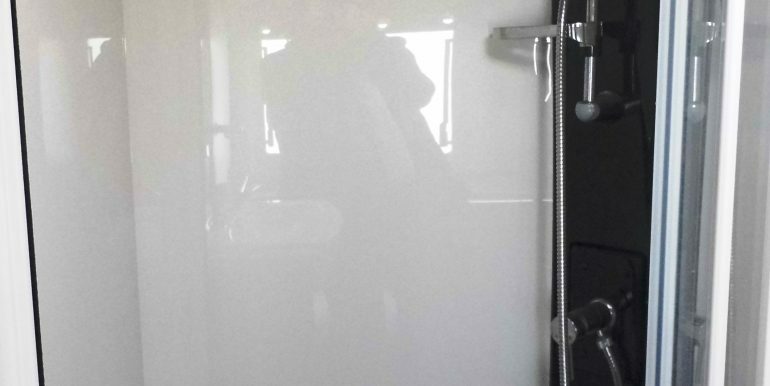 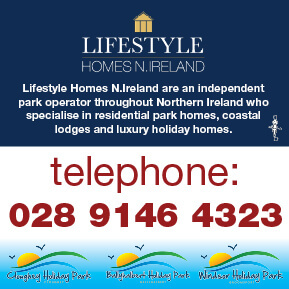 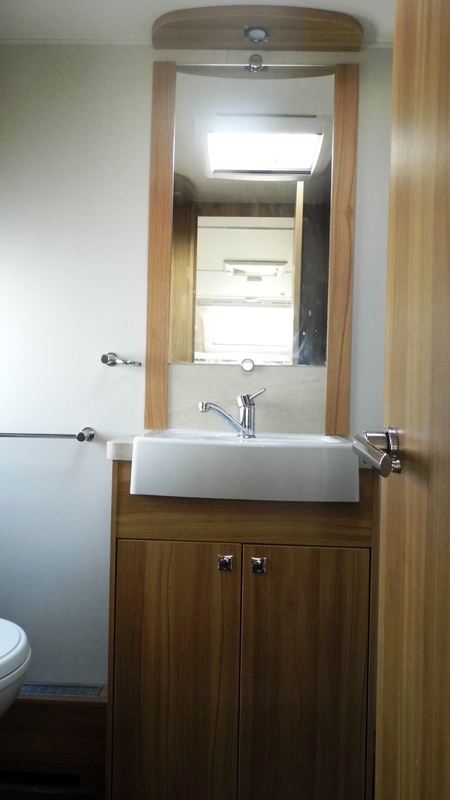 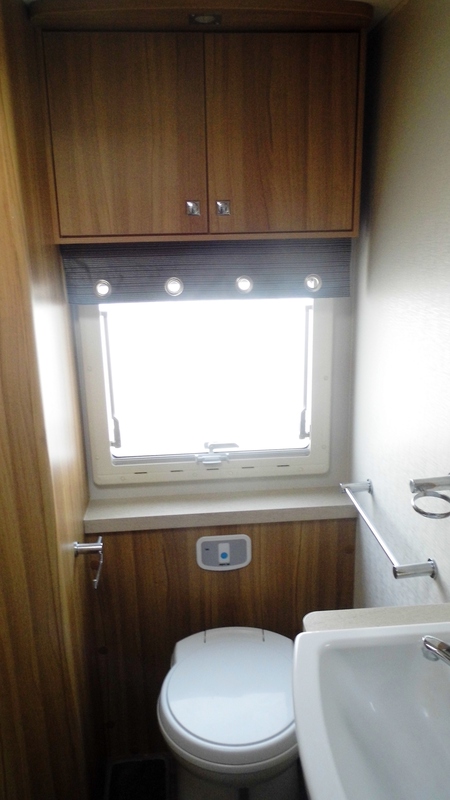 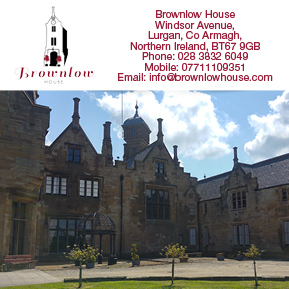 Large washroom to the rear with separate shower, cassette toilet, sink and vanity unit and large wardrobe. 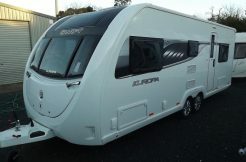 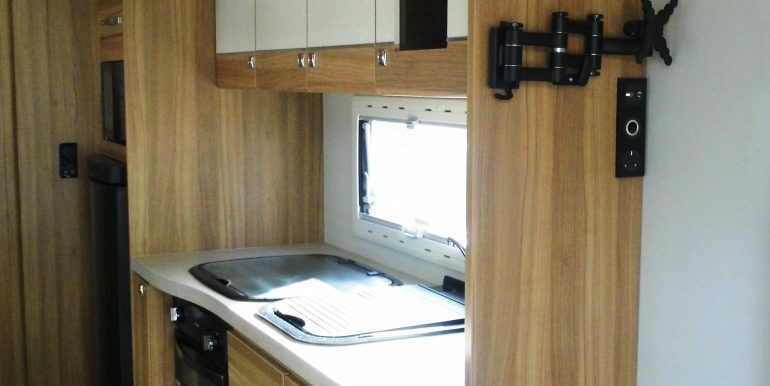 This caravan also benifits froma fitted Fiamma bike carrier to the rear and fitted motor mover.